This is a class listing by Kip McGrath Toa Payoh Pte Ltd. To sign up, just book now and the tuition centre will liase with you directly! We hold a maximum of 5 students in each class. Our unique diagnoatic tools help us to identify children's specific learning needs. 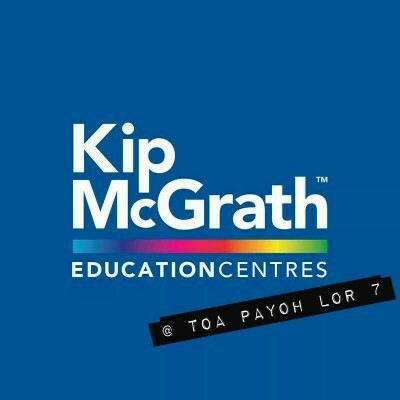 Kip McGrath Toa Payoh Pte Ltd provides enrichment and tuition classes for pre-school to secondary levels. For English, Math, Science and Chinese. We provide a conducive environment of a maximum class size of 5 students. Call us @ 6815 7757 for more information. Brought her there when she was in p1. It was recommended by my friends. I personally feel that it is pretty much the tutor. My friend's boy(p4) from fail to close to 80/100. The tutors are very effective and was able to connect with him. So i decided to give it a try. It has been great. J loves her lessons there.